The WASHplus Project in Mali developed four posters to illustrate the construction process for latrines it designed for difficult-to-build geographies, such as rocky, sandy, and flood-prone areas. 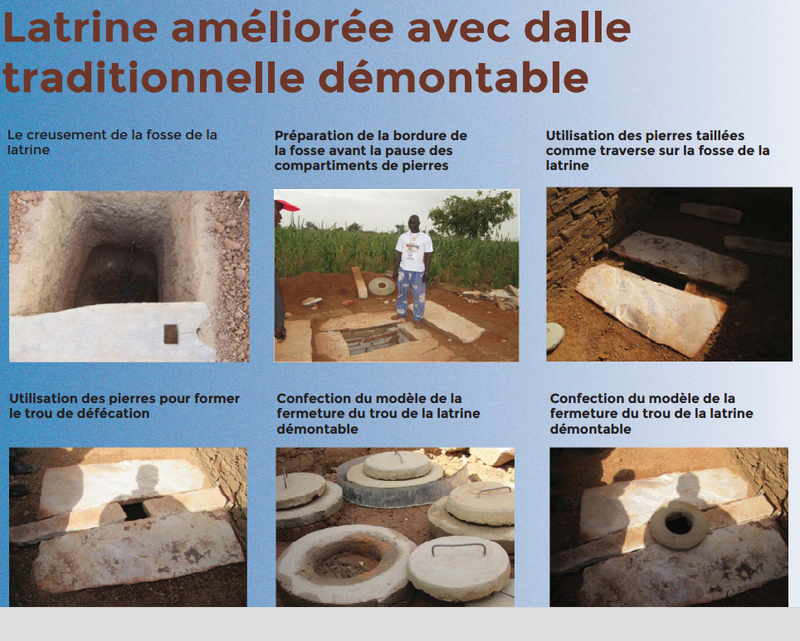 Construction de Latrine Traditionnelle dans le SENO (Zone Sablonneuse), 2015. Construction de Latrine Traditionnelle Amelioree dans la Zone Bandiagara, 2015. Construction de Latrine Traditionnelle Améliorée dans la Zone Inondée Mopti, 2015. Latrine Améliorée avec Dalle Traditionnelle Démontable, 2015. 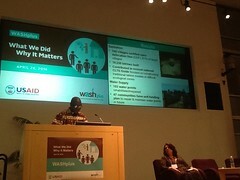 WASHplus will continue its market-based sanitation activities in Mopti. Local builders are currently prototyping latrine models with characteristics identified as preferable during a marketing assessment. A communications firm is implementing a media campaign and marketing strategy for the improved latrine models. In addition, WASHplus is also working with local implementing partners YAG-TU and Sahel Eco, on Open Defecation Free (ODF) certification of additional villages and implementation of post-certification activities aimed at improving sustainability and minimizing “slippage” after the intervention. WASHplus is also applying the Small Doable Action (SDA) approach to behavior change to improve the adoption of healthy nutrition and hygiene practices among mothers with children under two. The NGO facilitation teams and relais (community health workers) at community level will fine tune the use of WASH-nutrition job aids to negotiate SDA at the household level, the project’s primary mechanism to influence the adoption of healthy practices. The WASHplus Project, funded by the United States Government via USAID, triggers change in sanitation practices through the community-led total sanitation (CLTS) approach with a “plus” component that includes an emphasis on hand washing with soap after using the toilet. In Mali the plus component also signifies supply-side interventions to develop and promote low-cost latrine models appropriate to the unique environmental conditions in each district coupled with training community-based masons to build robust latrines using local materials. To complement the CLTS-driven approach in rural areas, WASHplus is beginning a sanitation marketing activity to engage materials suppliers and local entrepreneurs to market a line of aspirational sanitation products in Mopti’s urban areas. 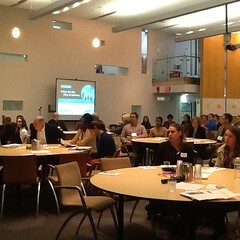 The WASHplus project is led by FHI 360 globally. In Mali, WASHplus activities are implemented through CARE International and two Malian NGOs, YAG-TU and Sahel Eco. Recently the WASHplus Project in Mali organized public ceremonies to certify Open Defecation Free (ODF) status of three villages in the Mopti Region. These villages, each of which are located in priority areas for USAID’s Feed the Future and Global Health initiatives, were recognized as being the first in their municipality to reach ODF status. From September 25th to 27th 2014, the USAID/Mali Director Gary Juste, accompanied by the Governor of Mopti Region, and the National Director of Sanitation led certification ceremonies in three villages in the presence of national and regional authorities, the CARE Mali Country Director, as well as local officials and residents from the villages. All three villages reached or exceeded the targeted criteria for certifications. The village of Allaye-Daga built 31 latrines against a target of 28. Wendeguele achieved 150% of their latrine target, and Kanikombole built 28 latrines against a target of 10. Local community leaders, women and youth all recognized the importance of the project and the impact safe disposal of human feces with have on the health and nutritional status of the populations, especially children under five. In the village of Allaye Daga, there was not a single latrine before the project, but now everybody uses latrines and the community has adopted social conventions to deal with noncompliance with ODF standards. The Mayor of Sio handing certificate over to the chief of the village of Wendeguele. Photo credit: USAID Mali. Youth in Kanikombole vow to abide by hygiene and sanitation standards. Photo credit: USAID Mali. USAID WASH Adviser engages communities on WASH. Photo credit: USAID Mali. Community-Led Total Sanitation benefits girls in Kanikombole. Photo credit: USAID Mali. Communities in KaniKombole recognize USAID through a special award handed out to USAID/Mali WASH Advisor (Right). Photo credit: USAID Mali. USAID/Mali Director and Mopti Governor pose after unveiling the certification plaque. Photo credit: USAID Mali. 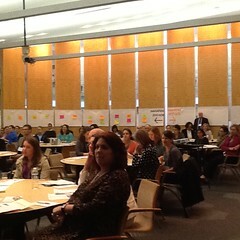 USAID/Mali Director (right), WASH Adviser (middle), and Health Office Director. Photo credit: USAID Mali. There is the toilet!! Mopti Governor and USAID/Mali Director pointing to it. Photo credit: USAID Mali. USAID/Mali Director and the Governor of Mopti unveil the certification sign board in Wendeguele. Photo credit: USAID Mali. USAID/Mali Director hand out certification for Allaye-Daga to Mopti Governor. Photo credit: USAID Mali. USAID/Mali Director admires certification plaque for Allaye-Daga. Photo credit: USAID Mali. 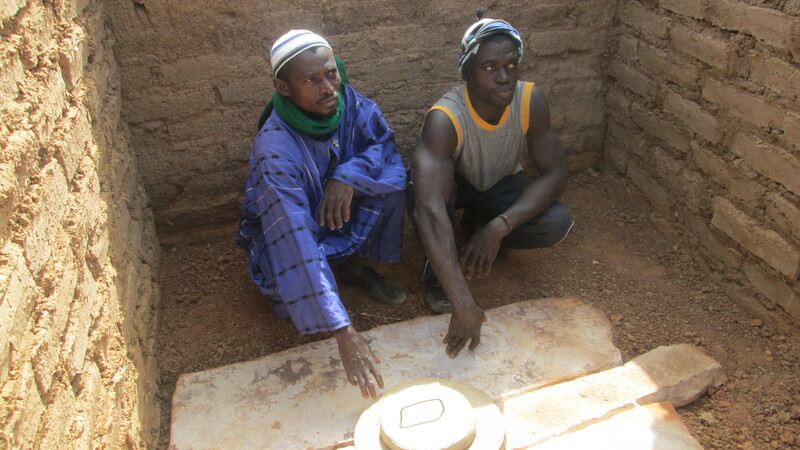 In Mali WASHplus uses community-led total sanitation (CLTS) “plus” to spur construction of improved latrines with hand washing stations in 18 communes within three health districts in the Mopti Region. The plus component includes training local masons in advance of triggering to assist households to construct latrines through the promotion of low-cost yet robust latrine models that can withstand the rocky, high water table, or sandy conditions found in participating communities. CLTS triggering is now complete in all 180 communities in the region, resulting in 4,930 public commitments to build latrines. By late March, monitoring visits in 30 of these villages recorded 945 new latrines constructed and 557 rehabilitated, more than 95 percent of which now include hand washing stations. Local masons have begun to cut large sheets of rock into latrine slabs, which fit the Joint Monitoring Programme definition of a hygienic sanitation platform. Latrines are being constructed without the use of cement or any other nonlocal building material. Other local adaptations observed include a machinist’s design of a clever hand washing station made of iron rebar that has separate pedestals for a water dispenser and a washbowl to catch the rinse water. I’ve spent the last week in the Mopti Region of northern Mali supporting a USAID/WASHplus WASH & Nutrition initiative led by CARE. While behavior change communication related to household- and community-level sanitation, hygiene, and infant nutrition practices is the primary focus of the project, a small sum of funds is dedicated to rehabilitating community water supplies.